PowerScore built its reputation as an LSAT company with its LSAT Critical Reasoning Bible. For those who don’t know, the LSAT is the GMAT Critical Reasoning section on steroids. So when I first purchased the PowerScore GMAT Critical Reasoning Bible, I had high hopes that PowerScore would really know how to dissect one of the most difficult question types on the GMAT. PowerScore did not disappoint. This is, overall, an excellent book for building GMAT CR skills, although it does have some minor flaws. The PowerScore GMAT Critical Reasoning Bible is both thorough and insightful. This book includes extensive lists of keywords that can help you identify different things the CR passage authors are trying to do. There lists of keywords that help you distinguish between passages that make arguments and passages that give sets of facts. There are also keyword lists to help you identify claims, premises, alternative viewpoints, and so much more. In addition to those lists are pages and pages of insightful tutorials. But perhaps the most uniquely helpful feature of this book is its series of “mini-drills.” These sets of practice exercises help you build different GMAT Critical Reading skills, such as identifying conclusions, correctly recognizing the tricks hidden in the incorrect CR answer choices, and so on. In addition to this, the practice questions are very realistic. 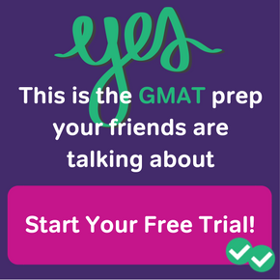 Every CR problem I looked at was well-designed, and would fit in perfectly on a real GMAT exam. I strongly recommend this book to anyone who needs to improve in CR. It’s also a good resource for those who are already good with GMAT Critical Reasoning questions, but want to perfect their game. With all of that said, this book does have a downside or two. The arrangement of information, for example, is a little “busy.” PowerScore fills the margins–outside of the main text–with notes and diagrams. All information in the margins is in a different, less bold font. This makes some important information hard to follow and easy to miss. Moreover, the overall organization of the information can be a little confusing and arbitrary in places. For example, chapter 12 of the book focuses on numbers and percentages as they appear in a variety of CR question types. This chapter actually interrupts a series of chapters on specific question types. The following chapter goes back to covering question types, but arbitrarily groups argument evaluation, cannot-be-true, and principle question types together. If you want to focus your own studies on specific aspects of CR, you may need to read the table of contents or glossary/index very carefully to find what you’re looking for. 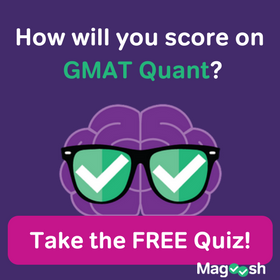 This book is just one of many possible resources you can use as you reach for your GMAT target score. 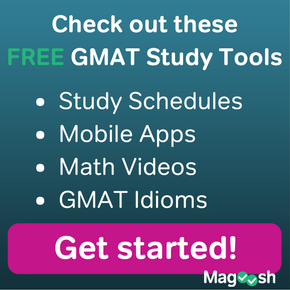 For a full list of the books and resources Magoosh recommends, be sure to check out our Best GMAT Books and Resources page. UPDATE: Since this book review was initially written, PowerScore has released a 2019 edition of the GMAT CR Bible. PowerScore releases a new edition every year. Because annual updates typically involve only minor changes, it’s safe to assume that what I’ve said in this review will apply to the newer editions. I don’t plan to review the 2019 version of this book, but may review a fresh version of the book again a few more years on down the line.